Chelsea are hoping to sign a new striker in the next few days, with Samuel Eto’o one option being seriously pursued by José Mourinho. The Portuguese worked with Eto’o at Internazionale and would cost around £5m from Anzhi Makhachkala. The move indicates that the club have all but conceded defeat in their pursuit of Wayne Rooney, though having had bids of £23m and £25m rejected by Manchester United, Mourinho may decide to test the champions’ resolve one last time. Eto’o, who is available as Anzhi seek to cut costs, seems to be open to the move, saying: “There is only one José Mourinho. I have played under a lot of great coaches – but there is no other character in the game like José”. Barcelona have been told by Chelsea to double their opening offer of £21.5 million for David Luiz to £43m if they want to sign the Brazil international this summer. Such a fee would represent a new high-water mark for a defender, exceeding the £37m that Paris Saint-Germain paid to beat Barca to the signature of Thiago Silva last year. The Spanish champions have spent the entire summer attempting to solve the problem left by that transfer-market failure. The Blaugrana initially attempted to recruit Thiago Silva again, only to be rebuffed by PSG, and the subsequent bid for Luiz – with £17.2m guaranteed and a further £4.3m dependent on performances – was less than the 26-year-old’s purchase price from Benfica and was quickly rejected. “If they need a central defender my advice is that they have to go to the second name they have in the list because they are wasting their time,” said Mourinho after the offer became public. While Barcelona are ready to increase the sum to £21.5m plus variables, Chelsea will not sell at that level. 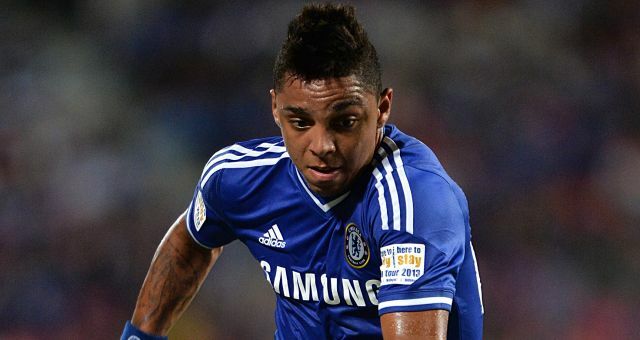 Inter Milan have signed Chelsea right-back Wallace on a season-long loan. The 19-year-old made his senior debut at Fluminense and signed for Chelsea earlier this year before being loaned back to the Brazilian club. 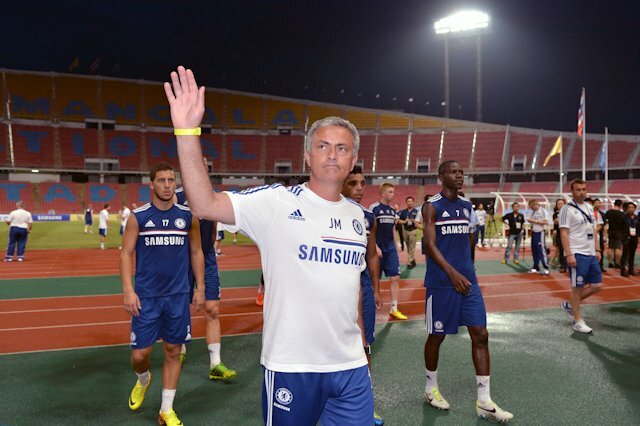 Wallace impressed on Chelsea’s pre-season tour to Asia but with chances of a work permit in England remote, Blues boss Jose Mourinho was keen to loan him out in Europe for further experience. Mourinho’s former club Inter have taken up the option. An announcement on their official website, www.inter.it, read: ‘FC Internazionale welcomes Wallace Oliviera dos Santos to the club. Yes, I know the 2nd headline and this one might be a little contradicting, but the whole point of this series is to recap on all rumours. Chelsea manager Jose Mourinho claims the club will not sell popular defender David Luiz, whatever big-money offer Barcelona make. 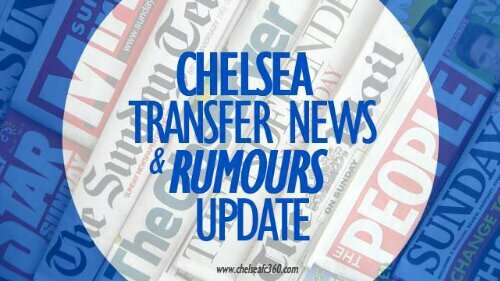 The versatile Brazil star, 26, had been linked with a shock exit, but Mourinho is adamant the player is in his Stamford Bridge plans. In an interview with BT Sport, Mourinho said: ‘No chance he is going to leave. He is a player we want to keep. He is a player with four years (on his) contract, he just signed a contract last year. Luiz arrived from Benfica in 2011 and extended his contract only 11 months ago. There had been reports recently claiming he had told the club of his desire to join Barca but Mourinho claimed: ‘I don’t know if he said that. What I can say is that he is not going to. Is Eto'o Our Last Option? 1. On Etoo that would be a good signing financialy and he played better last saeson as compzred to Rooney. 2. Selling Luiz also would be wise knowing very well that in our books we have Keneth Omarou, Nathan Eke and Wallace knowing very well Ivanovic can play at Cb. Eke proffed last season that he can play in the senior team. We saw Keneth at the Nations Cup and Confed, thou Wallace is untestd. Stop spouting nonsense. Eto is definitely a worse option than rooney, just look at his wages… and just because we have many academy defenders doesn’t mean we can sell luiz, There is a reason why mou wants to keep him. Surely you r not a Chelsea fan. I believe in our old new manager.he believes in defensive game so if anybody is feeling like seeing David out of chelsea we are sory.